Dan is a highly experienced Sponsorship and Business Development Professional with extensive experience in successful fundraising, commercial development strategy and the execution of substantial Brand Partnerships/Sponsorship contracts. With a background in the leisure and creative industries, Dan began his career in start-up’s; after launching his own Artist Management Company – Mercury Artist Management in 2011, Dan joined Spectra Music Group as the Head of its UK A&R division. Dan then acquired the UK’s Largest Touring Talent Competition for Unsigned Artists – ‘Live And Unsigned’ in 2013 before re-launching it in 2018 and now acts as its Non-Executive Chairman. In 2014, Dan set up Motion Entertainment Group - a film financing business. In recent years, Dan has been part of the founding team responsible for the development and launch of KidZania London. In 2019, Dan was also appointed to the Board of Directors of ‘Pride in London’ as its Strategic Partnerships Director. Gareth Williams has been Chief Executive of Rondo Media since 2008. The Rondo group produces drama, sport, music, events and factual content for a wide range of broadcasters including S4C, BBC 1 and Channel 4. He started his career as a BBC trainee producer and joined independent production company Opus in 2001 where he produced several documentaries, concerts and full-scale filmed opera productions including Falstaff featuring Bryn Terfel. He was appointed Chief Executive of Opus in 2006 before founding Rondo Media two years later. The Rondo group now includes Yeti Media – a subsidiary focusing on network productions and Galactig a digital and VR specialist company. Gareth has co-produced content for a wide range of international broadcasters including the 2018 Berlin Concert for Peace and 2016 Cantata Memoria Aberfan commemoration event. Gareth is also the executive producer of The Wall, co-produced with Korean and Irish production partners. He has been a juror for the International Emmy Awards and in 2018 was appointed Chair of TAC – the trade industry body for Welsh production companies. Eric Martin's contribution to the growth of house music as a global phenomenon is undeniable. Starting as a writer/programmer for Zomba/Jive Records, Eric came to fame as an original member of the seminal '90s House act Technotronic, co-writing their classic "Pump Up The Jam" The Album – which sold over 14 million copies worldwide. His musicianship and writing skills have also seen him release various projects as Me-One, working alongside hip-hop legends, such as The Roots and Guru. Equally at home with reggae and blues, Eric (as Me One) has written and produced for Maxi Priest and Jeff Beck among others. Eric is Cardiff born and involved in various executive and non-executive initiatives in the city and more broadly across the country, including speaking at schools and universities as an ambassador that music-loving young people might follow in the footsteps of, if they want to create a successful international music career. Michael is senior lecturer at London South Bank University in Business Law and Contract Law. Michael is the founder and festival director of The Llangwm Literary Festival, Pembrokeshire’s newest literary festival. His responsibilities include financing, managing funder relationships, managing legal issues and creating the festival programme. Michael’s other roles include serving as an Independent Board Member and Trustee at Cymorth Cymru, Executive Director at Qantara Digital, and Legal Services Director at Anna Money. Michael maintained his love of Wales whilst working for many years as a Partner for Hogan Lovells in Moscow, even bringing over Shan Cothi to wow the Russians (and ex-pat Welsh) at a St David’s Day celebration at the British Ambassador’s residence. Whilst Head of Capital Markets and Restructuring at Hogan Lovells Moscow, Michael was responsible for the launch and development of the Pro Bono and Community Engagement initiative at the Hogan Lovells Moscow office. David was Arts Director at the Arts Council of Wales 2005-2019. He led on arts development, strategy, international work, Festivals and allied projects. He led work on Arts Council of Wales’s 2014-18 Inspire: Our Strategy for Creativity and the Arts in Wales and working with the Welsh Government, initiated the idea of a National Endowment for Music in Wales. His interest in music spans genres. In his years as Arts Director he developed the involvement and investment of the Arts Council in more types of music and in showcasing that music. Previous to his work with Arts Council of Wales, David led The Lowry development in its opening years in Salford and in the 1990s was Keeper of Art and for a period, an Assistant Director in Amgueddfa Cymru National Museum Wales. Sue was born and brought up in Skewen, West Glamorgan. After graduating from the University of Wales she went on to complete an MSc and MBA and is a Fellow of the Chartered Institute of Marketing and a Chartered Marketer. Following a career in marketing at Cable & Wireless in the US and UK, and running online financial services at Charles Schwab Europe and Fidelity International Investments she spent six years at The Pensions Regulator working as Director of Communications. Sue is a Trustee Director of international animal welfare charity The Donkey Sanctuary, and Richmond Music Trust which provides high quality music opportunities to young people in Richmond-upon-Thames. Sue is also a Prince’s Trust mentor. Arnout holds several non-executive roles at charitable organisations. He is also an independent consultant providing business transformational advisory to a number of young companies. He is passionate about music and supports musical talent through his role as CEO of a foundation. Arnout is a respected and pragmatic leader with more than 30 years of international business and consultancy experience operating in highly transformational and digital businesses. Previous roles included Chief Risk Officer at Reed Elsevier in London, a global information company, partner at KPMG in New York and Amsterdam and CFO of a private equity firm in London. He has a long personal association with Wales. 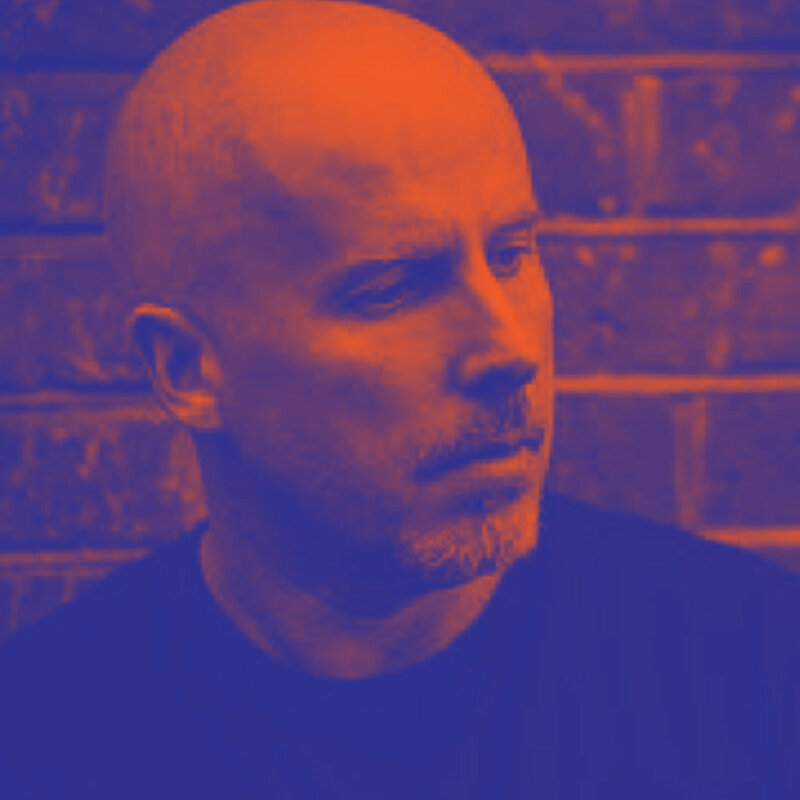 Born in Cwmbran in Wales, Mark is a noted international Garage DJ who has sold millions of records worldwide and continues to have a significant following on the music scene. He has worked with some of the world’s leading artists, including releasing the number 1 album Born to Do It with Craig David which is multi-platinum selling, and song writing with hundreds of the world’s best musical performers including Ed Sheeran. Many of Mark’s initiatives are associated with young people, including setting up camps and song writing retreats to give young people a chance to learn from him and others. He’s also refurbishing two music studios in Cornwall so that young people can come to work shadow him and get work experience in a formal music setting. Mark started his love affair with music in Wales whilst at school, he was part of the National Youth Orchestra for Wales as principal percussionist. Toks is a Creative Producer and Classical Music Programmer, driven by a commitment to engage new audiences through new experiences. Founder of the music commissioning and producing company, Sinfonia Newydd, he has been identified as a future leader by the ABO Find Your Way scheme for emerging/senior leaders. He has a strong track record of working with artists and organisations across a range of art-forms. Characterised by an instinct for collaborative and holistic working; he led and delivered Birmingham Symphony Hall’s Inside Out Festival in 2017 and 2018. Beate has over 20 years of experience in the private sector and academia. She is a former Advisory partner at Ernst & Young and has been teaching at the Academy for International Education in Bonn. She currently serves in an honorary capacity as the Chair of the Independent Management Advisory Committee (IMAC) of the International Telecommunication Union (ITU) in the United Nations and has been involved in the UN Equals program since its early beginnings. She has a background in business economics and majored in econometrics and operations research. Before joining EY, Beate held various management positions at Bayer AG. Since early childhood, Beate has had a passion for music and is currently working on a book about music in Cologne. Phil has extensive venue management experience having worked for Live Nation in Dublin, Manchester and for the last 9 years as GM of Motorpoint Arena Cardiff. Phil is passionate about music, education and the wellbeing of young people and sees Anthem as a great opportunity to combine all three.